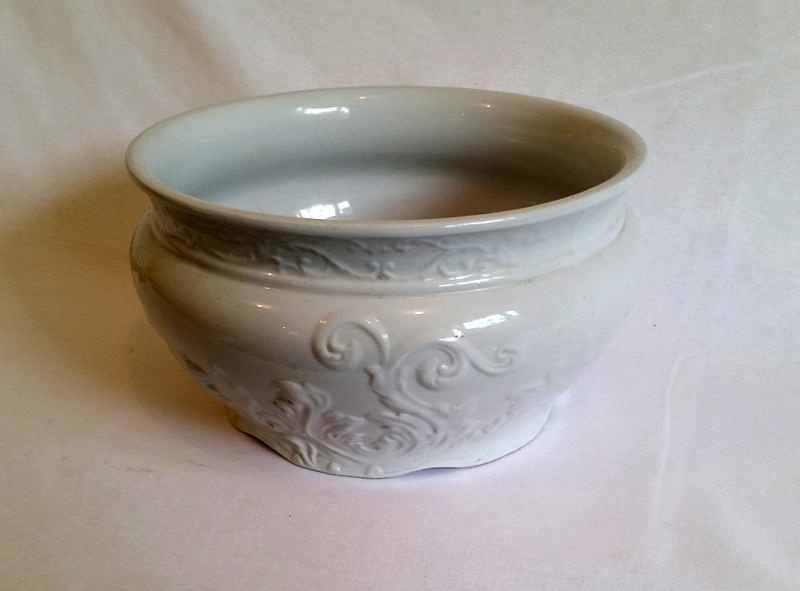 About this objectWhite china pot minus handle, embossed with white leaf shapes. Royal Iron Stone china. "W. H. Grindley & Co" Made in England. Has coat of arms. Pot originally owned by The Opies.